Loving husband of Diane (nee Mimnaugh), loving father of Allison and Albert V .Jr. Giordano. Cherished Grandfather of Albert V. Giordano III . Dear brother of Donna (Jimmy) Tsihlis , Dawn Mancusi-Lauria, Denise (Kevin) Finnerty, Paul, Anthony and Joseph Giordano. Beloved Son of the late Anthony and Carolann ( Gagliardi) Giordano. Funeral from Cherubini-McInerney Funeral Home (formally Meislohn- Silvie ) 1289 Forest Avenue on Wednesday at 9:15 AM. 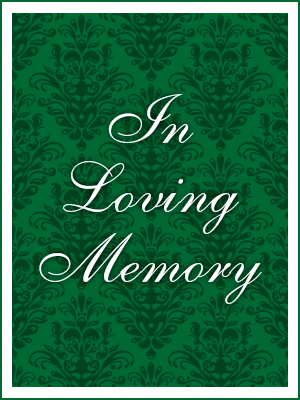 Funeral Mass will be held at St. Adalbert’s RC Church at 10 AM. Private Cremation to follow. Visiting hours at the Funeral Home will be on Tuesday from 2-4 and 7-9PM . Offer Condolence for the family of Albert V. Giordano, Sr. Sorry for your loss My condolences to your family. We extend our sincere condolences to Albert’s entire family. In this sad time may you find strength from our Heavenly Father’s promise that we can be reunited with our loved ones by means of a resurrection and sickness and death will be no more. – John 5:28,29; Revelation 21:3,4 What a wonderful day this will be! May this precious hope that awaits us and your cherished memories of Albert bring you a measure of comfort now and in the days ahead.